Another Costa Rican footballer is making headlines abroad. On Tuesday, Noelia Bermúdez was named the best goalkeeper in the women’s La Liga, the prestigious top division of Spanish football, during the 2015-2016 season. The 21-year-old Bermúdez helped lift her club Levante UD to a 16-6-8 record and fourth place finish in league play. Fifty-five percent of voters have decided that Noelia Bermúdez, goalkeeper for Levante UD, fills the goalie position in the top 11 for this season. 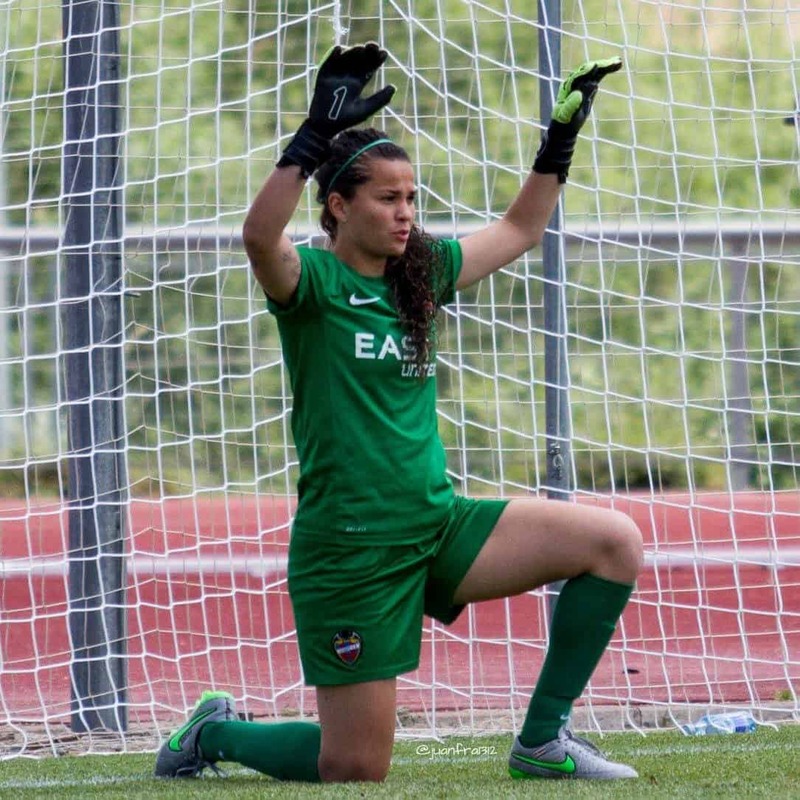 Her calm and her confidence between the sticks make the Costa Rican a sure thing for La Granota. Bermúdez is the second Costa Rican goalie to win Goalkeeper of the Year honors for Levante, the Spanish club based in Valencia, after Keylor Navas won the men’s award in the 2013-2014 season, before he was transferred to Real Madrid. The women’s top 11 lineup was decided by more than 17,400 fans who voted on La Liga’s web site. The Costa Rican women’s national team has reached historic levels in recent years. After making its first World Cup appearance in 2015, star players like Shirley Cruz, Raquel Rodríguez, and Bermúdez have excelled. Last week, “Las Ticas” reached their highest ever standing in FIFA’s world rankings, at 29th.